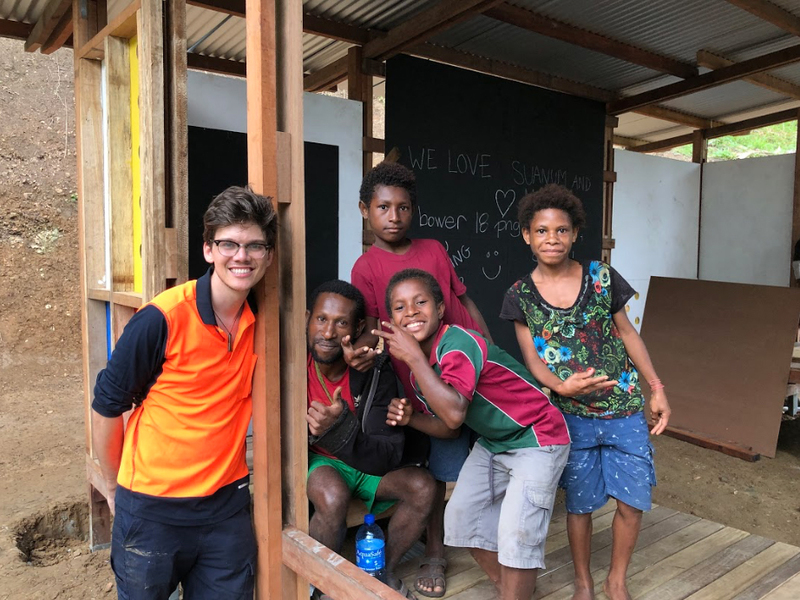 School teachers in Papua New Guinea can work for many years without wages, instead relying on the local community to provide basic food and housing. 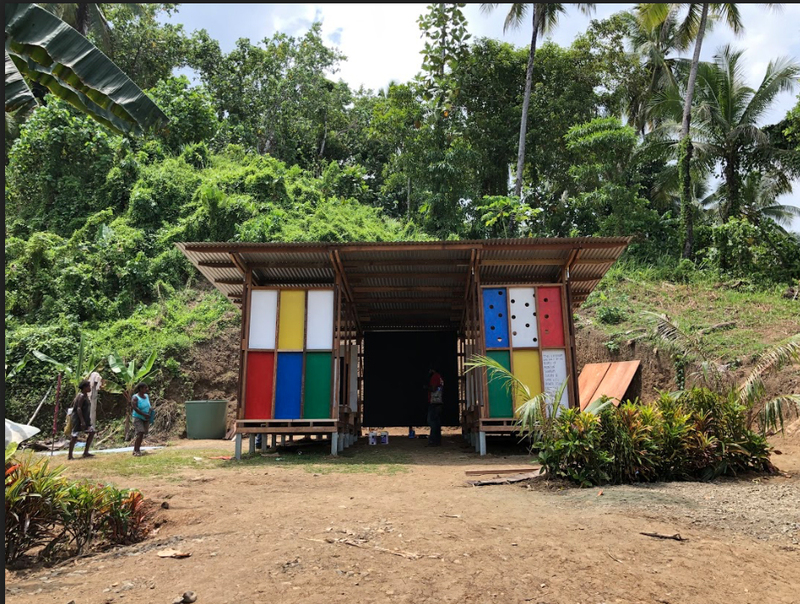 Simple resources such as books, pens and paper are not supplied by the government and classrooms and toilets are rudimentary and lack funds for maintenance. 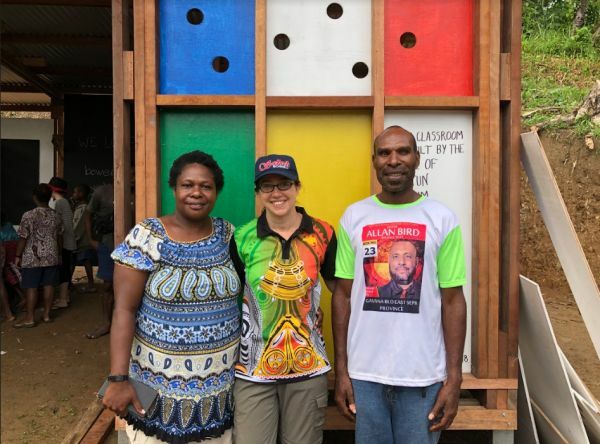 Despite the hardships challenging the teachers at the Suanum Elementary School, Ian, Loretta and Yevonne, remain dedicated to their students and continuously strive to improve opportunities towards the best possible education. This project supports the Suanum Elementary School at Tumrawa, near Munjun Village, its three staff and thirty-five students with a new learning space and toilets. 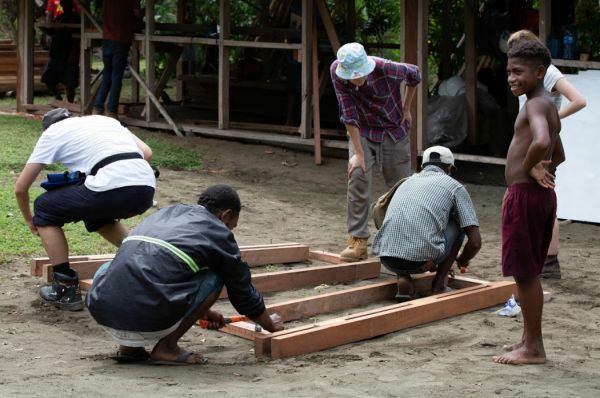 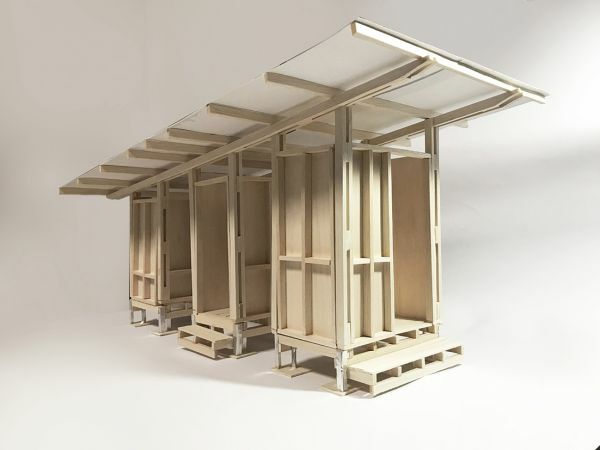 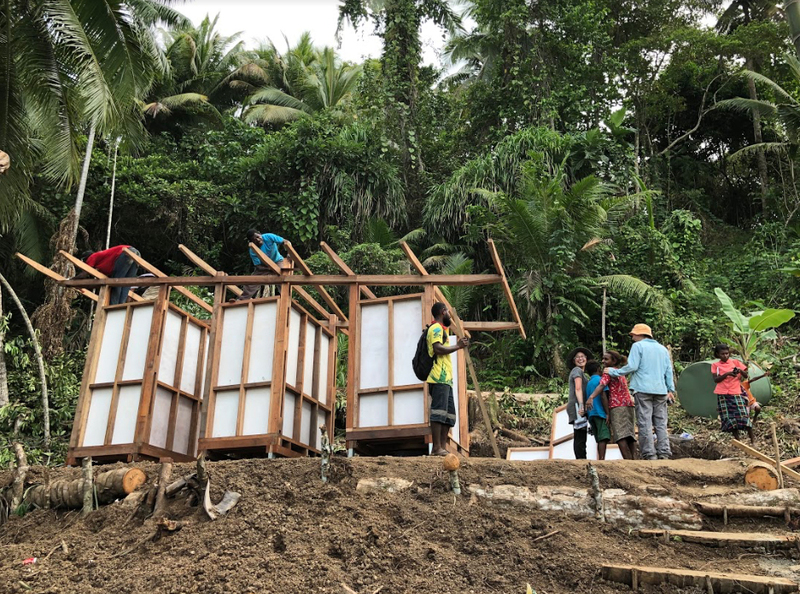 Over a one-week period the Bower team and a huge team from the local communities worked together to complete the timber framed and clad structures on higher ground pre-prepared by the community to avoid the rising sea levels eroding the coastline. 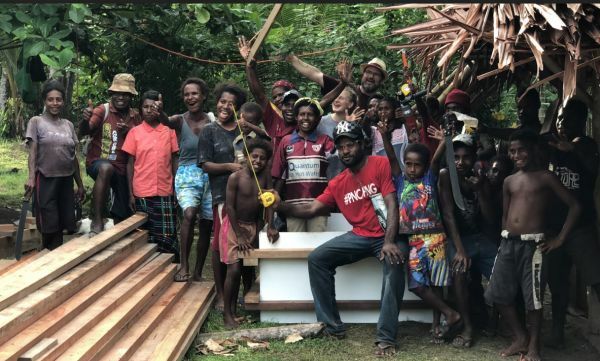 The work team was further expanded with people from the Sirr and Sikan communities, approximately four kilometers east along the coast, joining us as we plan to extend this program into that community as part of a bigger project to demonstrate that self-directed teams are capable of -building education facilities with minimal ongoing support from the Bower team. 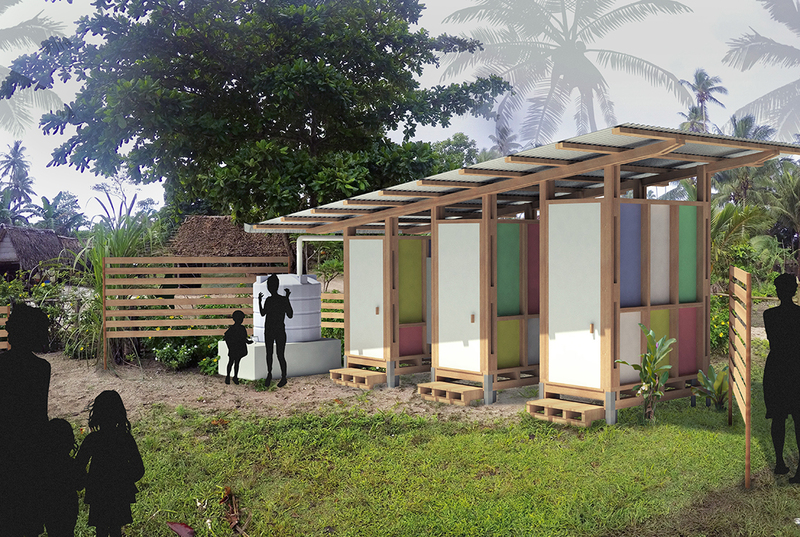 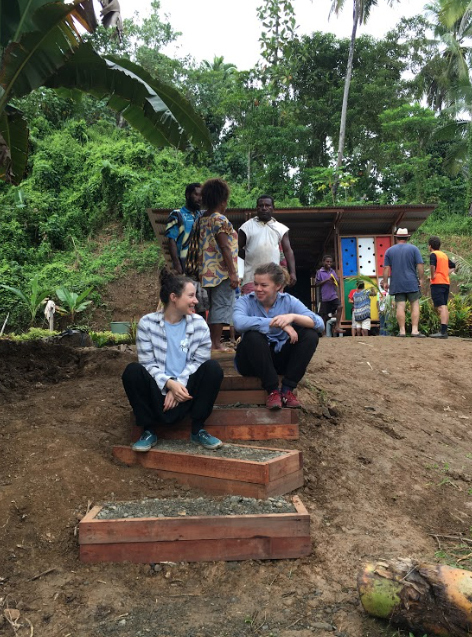 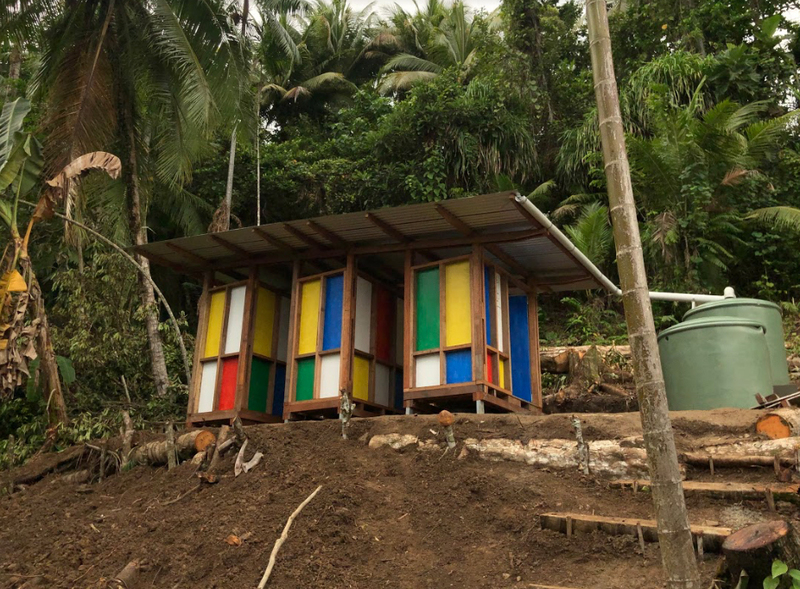 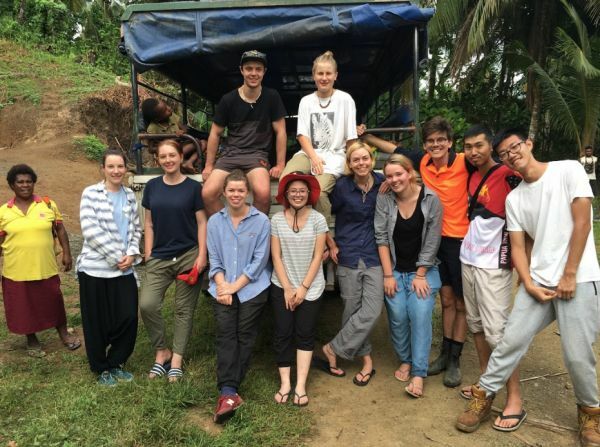 This project also provided the Bower team with the opportunity to revisit the neo-natal clinic and composting toilet constructed with the Suanum community in 2014. 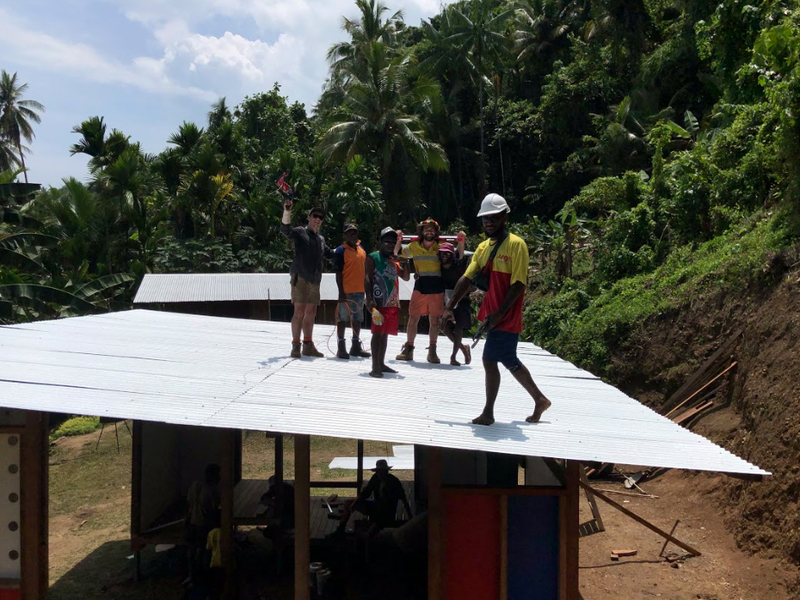 The team found it very gratifying to hear that sixty-six healthy babies had been born here since the project was completed and see that the building remained in very good condition with only a few minor repairs required for the composting toilet and water tank. 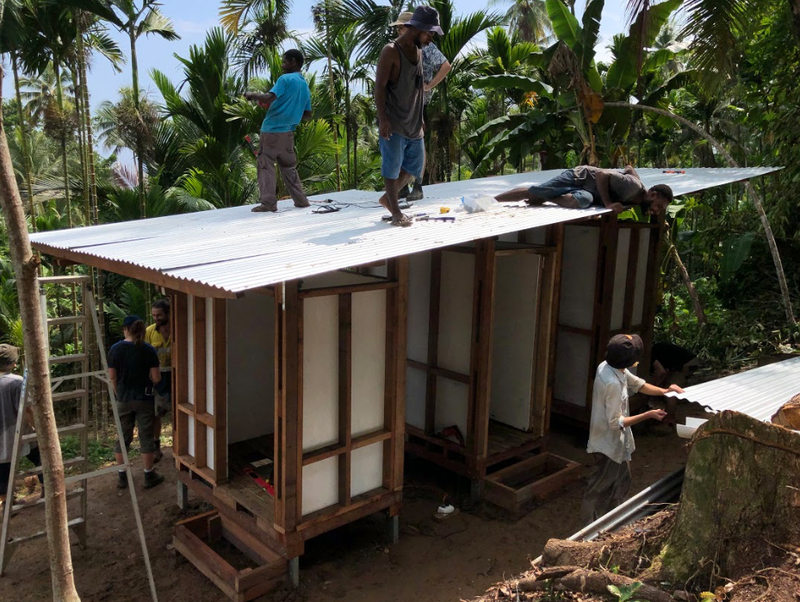 Post occupancy evaluation is a crucial stage. 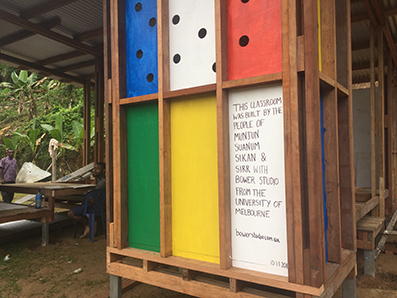 Bower Studio thanks the people of Munjun and Suanum for welcoming the team back to their community as well as the considerable work undertaken by the extensive local work team. 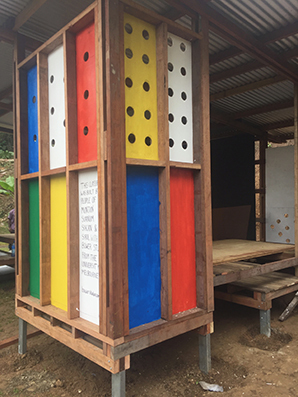 It was a pleasure to work again with these communities especially after Bower Studio had partnered with. 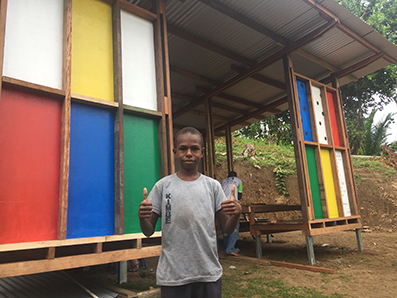 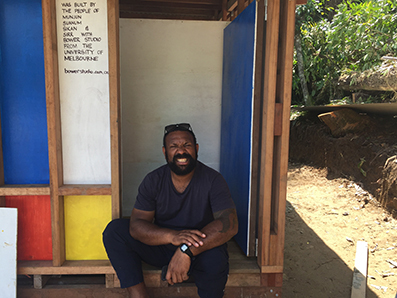 Special thanks to Clyde King for his excellent ongoing support for the Bower Studio projects in Wewak Province since 2014.